Adding to the list of regional and international visitors to the Center since its launch, the Global Center for Combating Extremist Ideology (Etidal) received a high-ranking global delegation, including the President of Meeting Rimini for Friendship Amongst Peoples Foundation, Emilia Guarnieri, and other members of the foundation. During the visit, the delegation was briefed on the Center’s techniques for monitoring extremist organizations’ movements and activities using advanced technologies. The President of Meeting Rimini, Emilia Guarnieri, praised the Center’s efforts in combating extremist ideology and its contributions in building friendships among different peoples and communities. “In our foundation, we believe in resisting violence through promoting closeness among cultures and peoples,” she said. 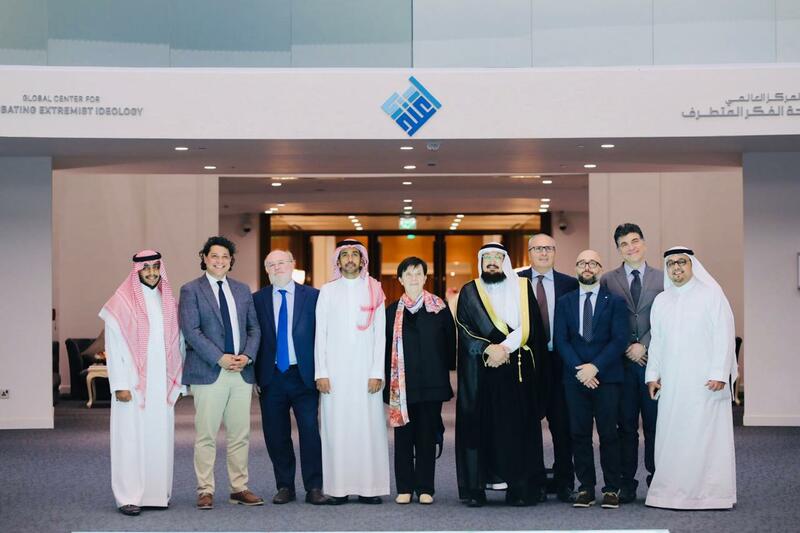 At the end of the visit, the members of the delegation expressed their appreciation and gratitude for the efforts made by the Global Center for Combating Extremist Ideology (Etidal) towards promoting the values of tolerance and coexistence regionally and globally.